The refined experience of taking to the wheel of a vintage car is a classic catch for any motor enthusiast. 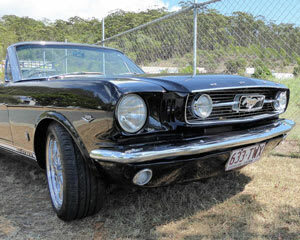 Whether it’s a sports car, convertible, Ford Australia mustang or custom-built muscle car that charges your engine, Adrenaline offers all manner of unique classic-car hire for driving and riding experiences at Australia’s most scenic destinations. If it’s a pristine Pontiac, elegant Jaguar, even a best-selling V8 Race Buggies 20 Laps experience you crave, you can purchase any classic car hire package that your red-hot racing heart desires online at Adrenaline. What is the best thing about driving a classic-car? Placing yourself in the driver’s seat of an immaculately preserved vintage or classic car is a rare beauty to behold and experience. You can cruise the most coveted highways and byways in unparalleled style, without the exorbitant maintenance costs of keeping these supreme machines fully tanked and in mint condition. For car lovers, nothing could be finer than the gift of living the vintage-driving dream for the day. 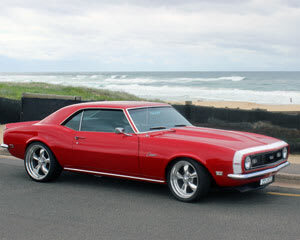 Where can I drive a classic-car in Australia? 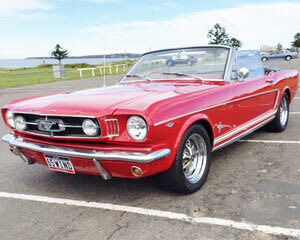 Wherever you are based throughout Australia, Adrenaline can offer the perfect classic-car hire experience to suit your driving predilection and destination. 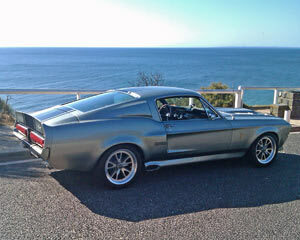 Fancy grabbing your mates and taking a classic Ford Mustang Shelby GT 500 out for a 90-minute beachside spin? With this affordable package for up to four passengers, cruising along Beach Road, Melbourne, you’ll feel the power in your soul, wind in your hair and endless onlooker stares. What is the most beautiful location to experience a classic-car joy ride? Beachside cruising in vintage style is tough to top. But if there is one package offered by Adrenaline that puts you and your loved one or best mate in pole position, it would have to be the Barossa Uncut 3.5-hour Convertible Tour for 2 – Barossa Valley. 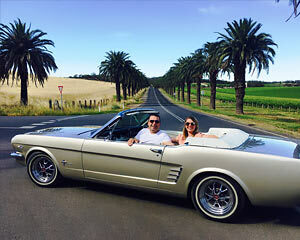 Not only will you both revel in the ride of a classic 1966 Mustang convertible, while traversing the valleys and hillside of the renowned Barossa Valley wine region, but this package is also heaven for wine buffs and foodies alike. An expert local guide will accompany you and your partner for the drive of a lifetime. You’ll also visit up to four wineries and savour a cheese and wine tasting at Maggie Beer’s Farm Shop. This unforgettable experience for two is a style-maker’s classic, in every way. 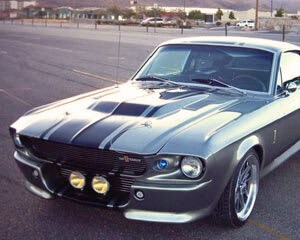 Which is the most popular classic-car ride for dad? The type of classic-car experience depends entirely on the make and model of your dad. 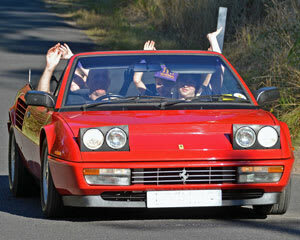 A popular choice for dads who appreciate Italian-built power and style is the recently listed Ride in a Classic Ferrari For Up To 3 People, 1 Hour – Sydney. Mum and yourself can also get to share in the spoils as potential passengers for this red-hot classic ride. 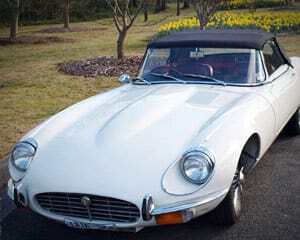 The Classic Car Hire Jaguar E Type For A Day, also in Sydney, and other Australian destinations, is another gift to rev your car-loving dad’s engine. 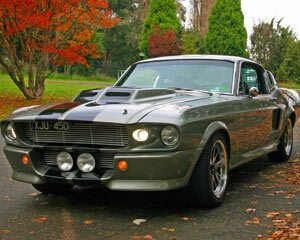 These and countless classic-car hire packages, including muscling in on the muscle car action, are on offer at Adrenaline online, for you to choose, book and order at your leisure for dad’s driving or riding pleasure. What should I know before my classic-car driving experience? There are restrictions for all classic-car driving experiences, and these vary according to the type of car, location and package offered. Not just anybody can get behind the wheel of these custom-maintained vintage machines. In all cases, a full driver’s licence is a must. In most instances, drivers must be a minimum age of 25 and stipulations include having a history of less than four driving offences or no more than three accidents within the past three years. Dress in comfortable stylish gear befitting the experience, including enclosed footwear. And be weather ready. Apply sunscreen if cruising in a convertible, or with the top down, and don’t forget your camera to capture the classic moments of your vintage-driving experience.